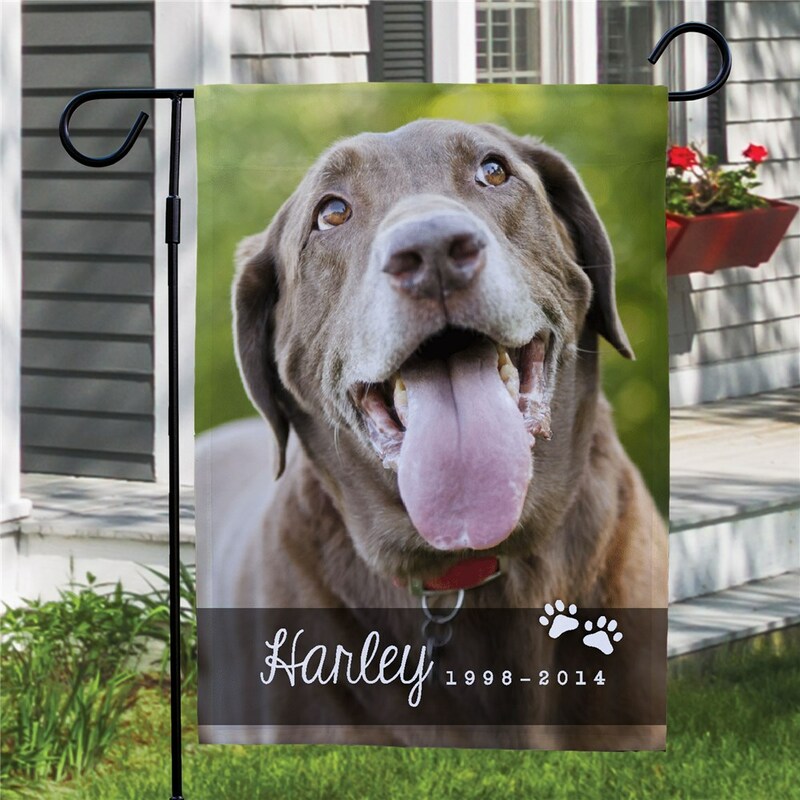 Honor the life your pet has had with a loving photo displayed on our Personalized Garden Flags. 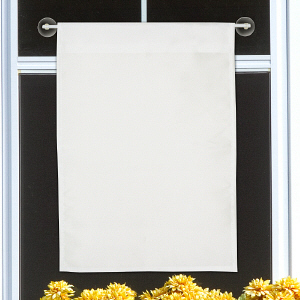 This photo Custom Garden Flags create a thoughtful way to cherish the amazing memories you've made and it becomes a treasured keepsake the entire family can pay tribute to. 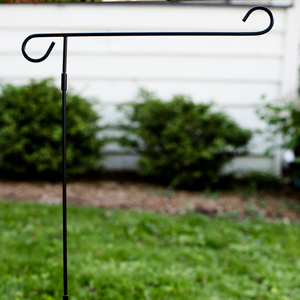 Your photo may be printed on our one sided or double sided, durable, all-weather 100% poly garden flag that measures 12-1/2"w x 18"h. You may wish to display this flag on our optional garden flag pole, door hanger or window hanger, sold separately. Pay respect to your four legged friend by including their name and memorial years. I’m so happy with my flag. It’s a great memorial for our sweet dog. 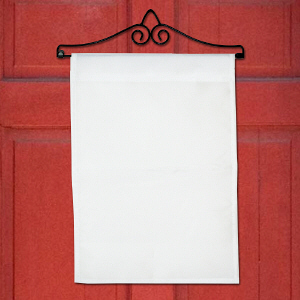 This garden flag is less expensive and better quality than other generic garden flags on the web.